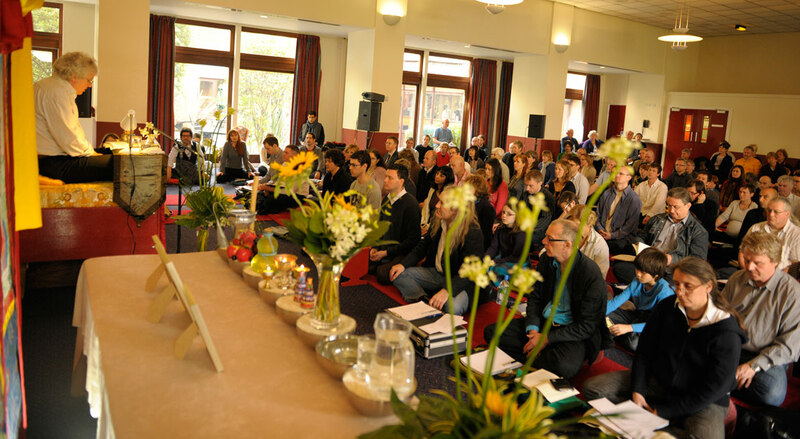 Last weekend, on 2 to 3 April, Lama Jampa Thaye began teaching Dispelling the Darkness of Unawareness, the famous mahamudra practice text composed by the 9th Karmapa, Wangchuk Dorje. This particular text is one of three mahamudra practice texts composed by the 9th Karmapa: a short-length presentation (Pointing Out the Dharmakaya); a medium-length presentation (Dispelling the Darkness of Unawareness); and, an extensive presentation (The Ocean of the Definitive Meaning). Lama Jampa recevied Dispelling the Darkness of Unawareness from Ato Rinpoche in 1979 and Pointing Out the Dharmakaya from Gyaltsap Rinpoche in 1982. 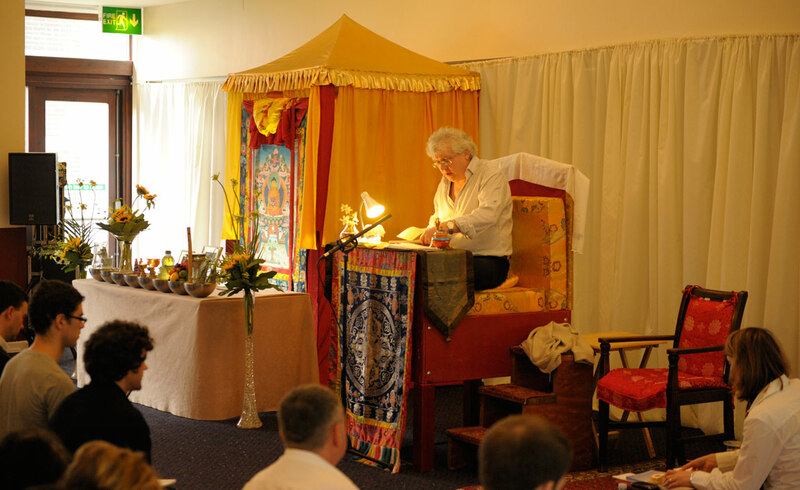 Lama Jampa explained that, following the completion last year of the transmission of the initial cycle of Kagyu shedra texts, it was now appropriate to teach a mahamudra practice text. 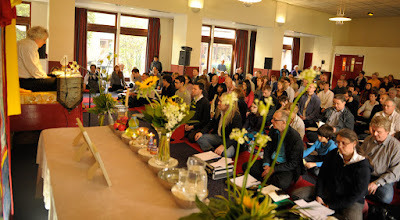 It was particularly auspicious to teach such a text following the conclusion of the explanation of Situ Panchen's commentary on the 3rd Karmapa's Prayer of Mahamudra (taught at the 2009 and 2010 Kagyu Ling shedras), which contains the essential explanation and defence of the system of Kagyu mahamudra. Lama Jampa also gave the reading transmission for the 9th Karmapa's presentation of the Kagyu preliminary practices: The Chariot for Travelling the Path to Freedom. To conclude the weekend of teaching, and to create an auspicious circumstance, Lama Jampa bestowed the initiation of Milarepa, which Lama Jampa received from the 16th Karmapa, Karma Thinley Rinpoche and Thrangu Rinpoche. 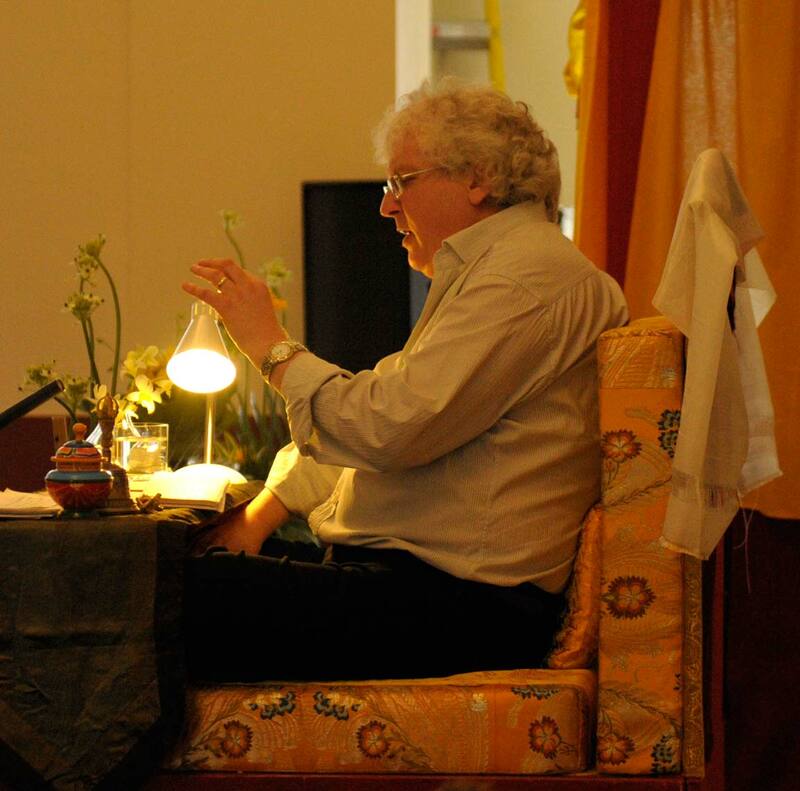 Lama Jampa will teach the second part of Dispelling the Darkness of Unawareness in July and the concluding part in December. Please email manchester@dechen.org for further information.